The AISSF, founded in 1944, raised pro Khalistan slogans inside Golden Temple today. The AISSF is a Sikh student political organisation in India. However, the Akal Takht has condemed the incident. AMRITSAR: On the 34th anniversary of Operation Blue Star, the All India Sikh Students Federation (AISSF) on Wednesday raised pro-Khalistan slogans inside the premises of Golden Temple in Amritsar. 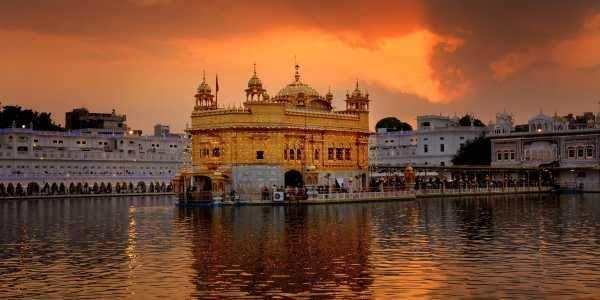 The Army had carried out Operation Blue Star in June 1984 to smoke out hiding terrorists from the Golden Temple complex. The AISSF, founded in 1944, is a Sikh student political organisation in India. The security has been beefed up outside Golden Temple. Five Rapid Action Force companies and several companies of paramilitary forces have been deployed across the city to maintain law and order. In the run-up to the anniversary, the Punjab Police have also busted a few modules which allegedly operated at the behest of foreign-based handlers to cause communal disturbances. Meanwhile, radical outfit named Dal Khalsa on Tuesday staged 'genocide remembrance parade' in Amritsar to pay homage to the people killed in the attack.